Are you looking to get more involved with your local community? Do you enjoy organising activities or fun social events? Are you passionate about helping those in society who are less fortunate? If this sounds like you Kisumu Children Trust needs you! 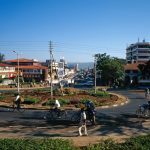 Kisumu Children Trust is a registered charity offering you the opportunity to help feed, clothe and shelter orphaned or abandoned children who end up fending for themselves on the streets of Kisumu, Kenya. We run events and challenges for all age groups to help raise the money needed to care for these children and are looking for Volunteers to get involved for a few hours a month, whenever it suits YOU! Perhaps you’d like to contribute a couple of hours as a one-off quiz night? Or maybe you’d like to take part in a charity bike ride or run a stall at your local church or community centre once a month? We know that your time is precious so we will work with you to make sure you get the most out of your experience with us. You can set something up yourself or get events and activity ideas directly from us. Whatever you choose to do we will be here to nurture you, to support your events and activities, to help you develop your skills, and just as importantly, to have fun. If you are a good communicator who shares our values of peace, co-operation and equality, Kisumu Children Trust invites you to get in touch. Would you like to represent us in your area? Every gift makes a difference to the life of a child living in extreme poverty. 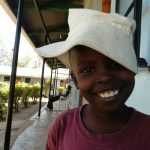 We would love to come and share the work of Kisumu Children Trust with your group. Prayer is the foundation for all that has been and will be achieved by our work in Kisumu, and we praise God for all that He has done for us and through us already.